Xiaomi is set to roll out v9.2.14 on February 15th for MIUI 10. This new build will be a global beta version and some users have revealed that it implements a dark mode for some system apps within MIUI. With Google getting serious about a system-wide Dark mode on Android Q, it’s about time proprietary skins of Android should also start getting them this year. The update comes with a number of changes, including improvements to the camera, said an MIUI administrator in the forums. The update will also give Xiaomi’s Mi Cloud online storage service a new cleaner look and feel. There will be a complete list of changes once the full-fledged update starts rolling out. Talking about the dark mode, which was first spotted by FoneArena, the latest global beta brings the feature to a number of stock apps like Phone, Contacts, Messaging, Gallery, Calculator, Notes, Screen Recorder, and Updater. In fact, even the notification menu, the volume sliders, and the Recents menu get the same treatment. Some menus of the settings panel such as App Lock, Permissions, Data Usage also have the dark mode. Although this is a beta update, it seems Xiaomi is giving dark mode a serious thought and we could finally see it in a future stable version of MIUI 10. If users on the global beta program haven’t received the update, they will get it as the full rollout actually begins tomorrow on February 15th. Even then, some Xiaomi phones like the Mi 4, Mi 5 and Redmi Note 3 won’t get the update as they aren’t supported for MIUI 10 development any more. 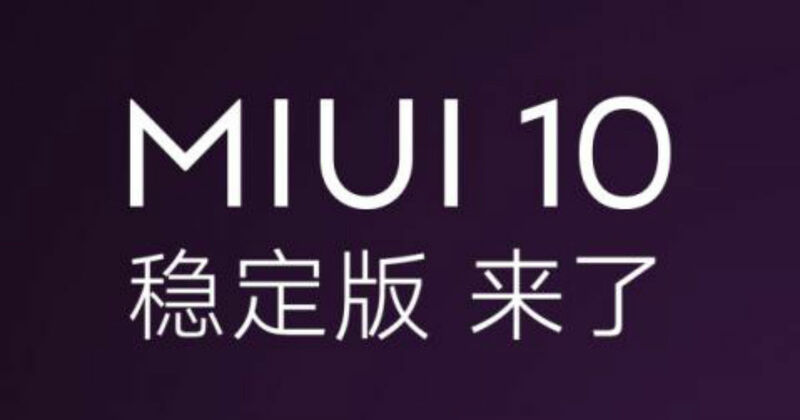 Meanwhile, Xiaomi has also started work on MIUI 11 and we could see a full-fledged dark mode feature in the Xiaomi MIUI interface; however, this simply remains a probability as of now.